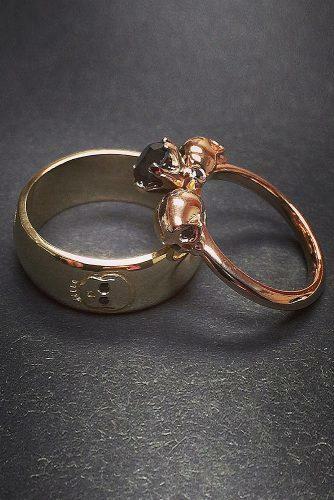 Halloween wedding ideas are becoming quite the trend. 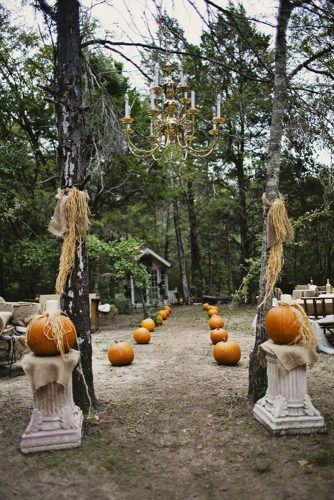 If you have been dreaming of a Halloween themed wedding for as long as you can remember you are not alone. 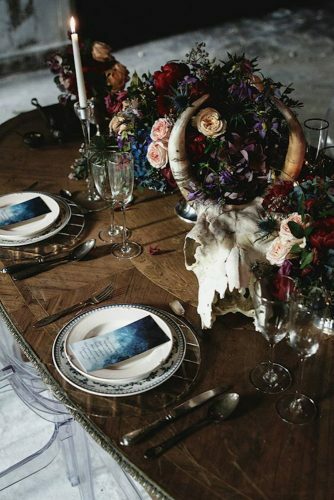 We have gathered some of the most unique and fun ideas for Halloween weddings for your inspiration! 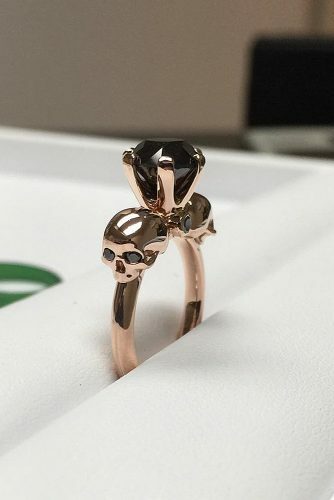 A Halloween wedding doesn’t have to be scary or gory. 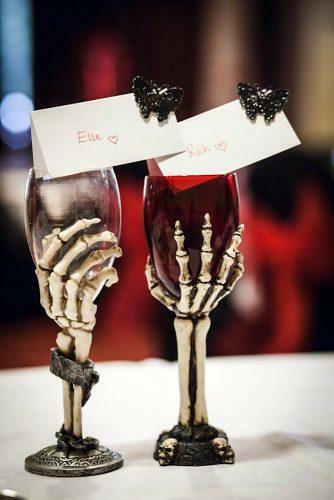 Halloween themed weddings have become increasingly popular in recent years. 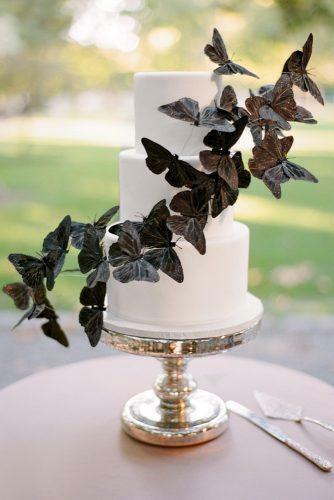 A Halloween style wedding can be very glamorous and sophisticated, in fact. But we’ll let you see for yourself! 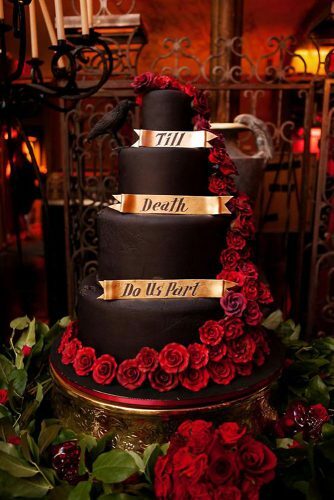 Halloween weddings leave so much room to the imagination. 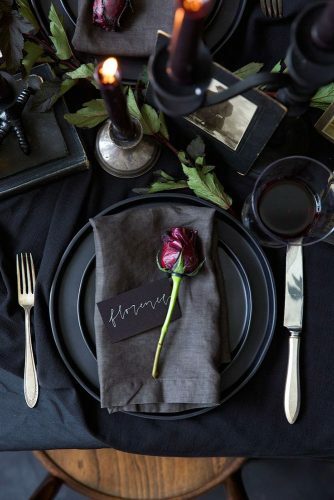 Think of all the fun DIY Halloween wedding ideas you can make easily at home. From centerpieces to wall decor to party favors, the possibilities are endless. 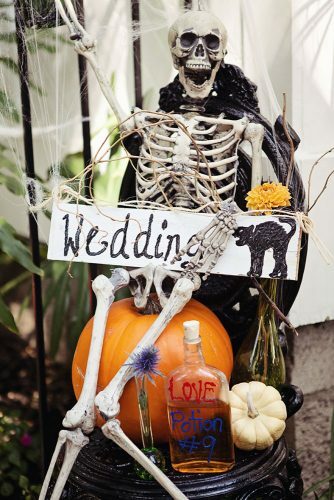 Halloween wedding decorations can range from spooky to classic to modern to elegant. There are so many great options. 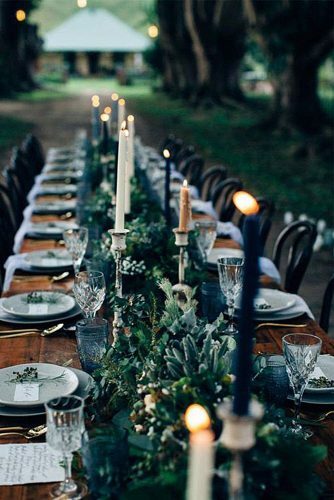 Whether you’re a horror movie buff or you want a classic Vintage Halloween wedding, you’ll be sure to find something you absolutely love! 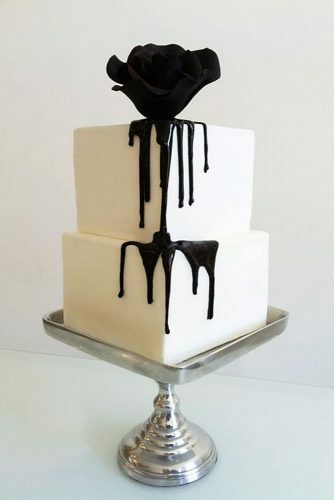 And if you can’t find a cake theme you like, you can always look at Halloween wedding cake toppers. 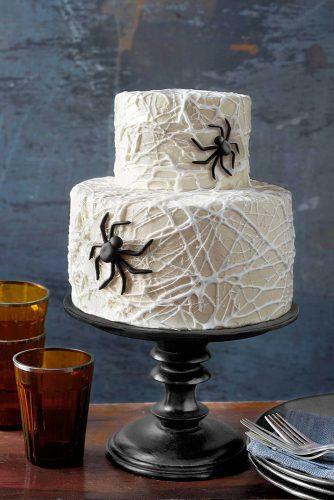 Dress up your cake with a scary Halloween topper from your favorite horror movie or a pretty Fall themed cake topper. 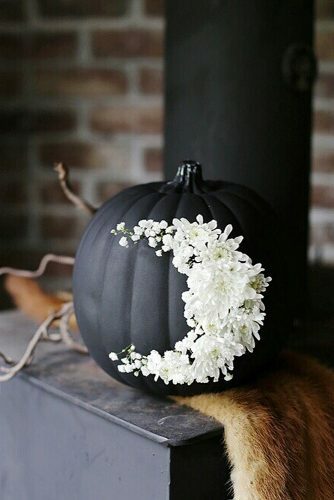 From carved pumpkins and gourds to hanging lanterns to black and orange crepe paper, the possibilities for Halloween wedding decorations are endless! You can find creative ideas online or visit any Halloween or party store for fun and inexpensive Halloween decoration you can use at your wedding. 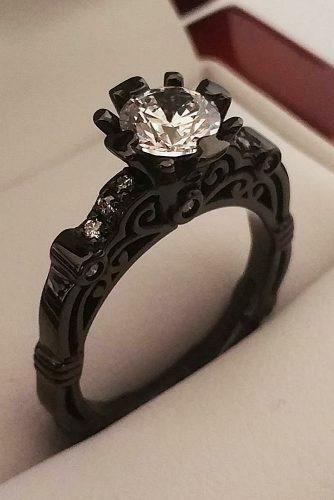 From unique Marquise cut rings to black diamond engagement rings, we are certain that you will find the perfect engagement ring! 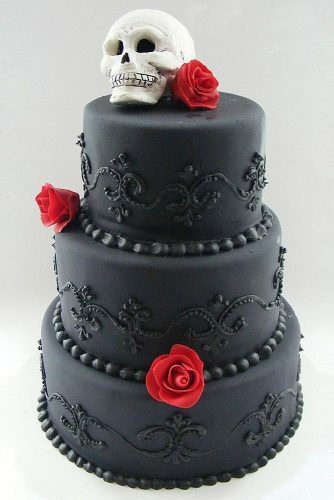 If you are looking for an idea for your Halloween wedding cake, you will have no trouble finding the cake of your dreams. 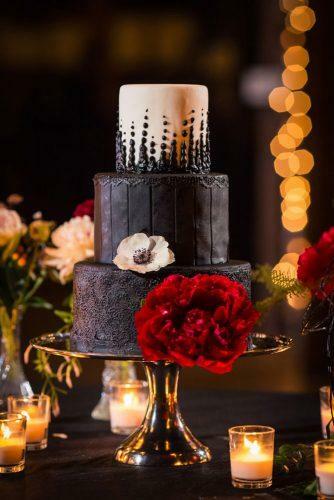 From ghoulish cakes with spooky themes to pretty cakes with brilliant orange, yellow and red leaves, there are dozens of ideas for Halloween themed wedding cakes. 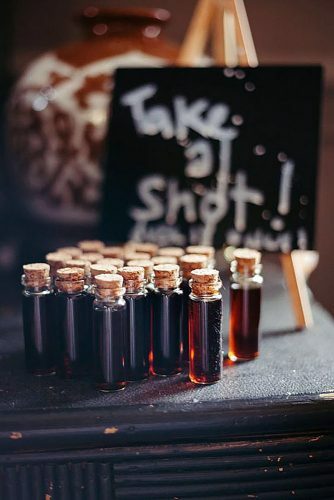 The best part about a Halloween wedding is that you don’t have to stick to the traditional wedding rules. You have free reign from Halloween photo ideas to party favors to decorations! You can even rent a photo booth with spooky or vintage backgrounds for a fun memento for your guests! 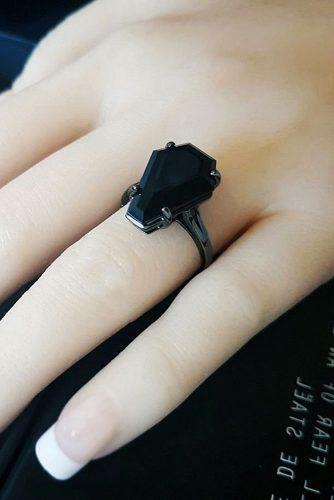 Your Halloween wedding pictures are going to be stunning. Fall colors, fun costume ideas and spooky Halloween makeup.the possibilities are endless! You can even take some shots in black a white or vintage photo effects for a truly classic Halloween motif! 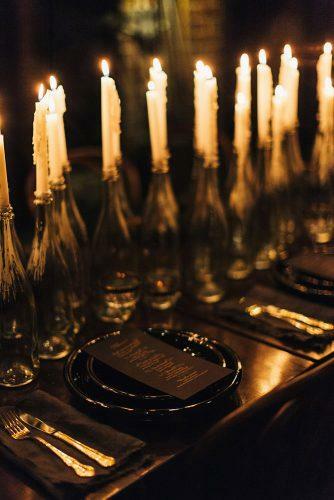 Wedding table decorations do not have to be expensive and elaborate. 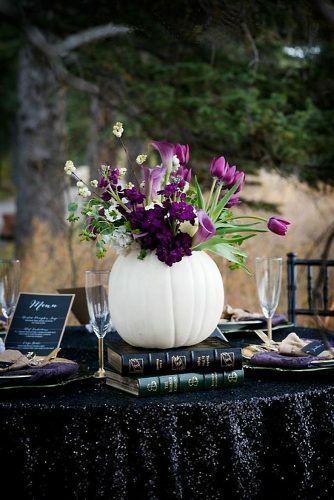 For your Halloween wedding, you can decorate your tables with pretty colored Fall leaves or flowers, pumpkins and fall scented candles. Or even something as simple as a carved jack o’lantern will make a nice decoration. Check out original and fun Halloween table decor ideas on sites such as Pinterest or Etsy to give you some added inspiration! Halloween decorations for weddings don’t have to be expensive. 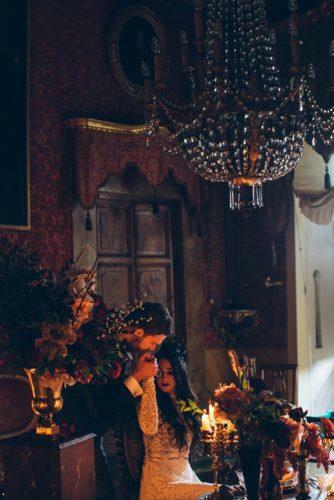 If you are looking for Halloween wedding ideas on a budget, there are plenty of easy and inexpensive ideas you can make yourself or purchase at an affordable rate. 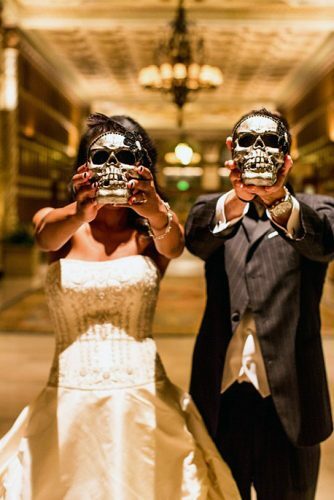 Halloween weddings leave the door wide open for creative and fun photo ideas. From pumpkin patches to a scene from your favorite horror movie, there are so many ideas. Fall is the perfect time to think of great photo shoots and outdoor Halloween wedding ideas. Imagine how pretty the fall colors will look as a backdrop for your wedding photos. 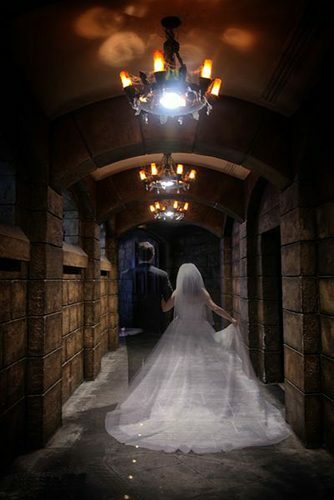 Talk to your photographer about ideas for your Halloween wedding photo shoot. Think of all the fun you can have dressing in Halloween costumes or posing outdoors in a field of sunflowers! 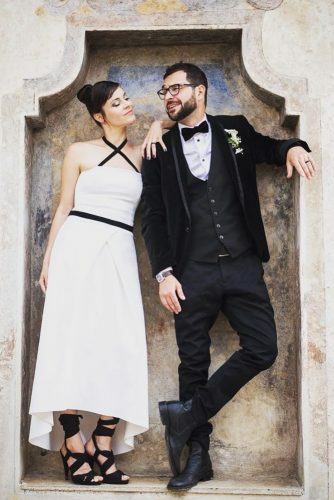 One of the best things about a Halloween wedding is that you can think outside the box when it comes to your wedding dress. Your Halloween wedding dress can be anything you want it to be. 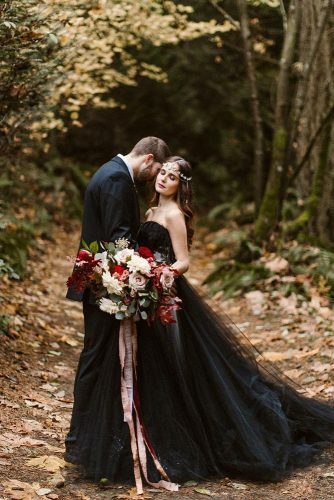 From a Victorian style gown, to a goth or steampunk dress to a gown in a brilliant fall color, the sky’s the limits when it comes to Halloween wedding dress for the bride to be. 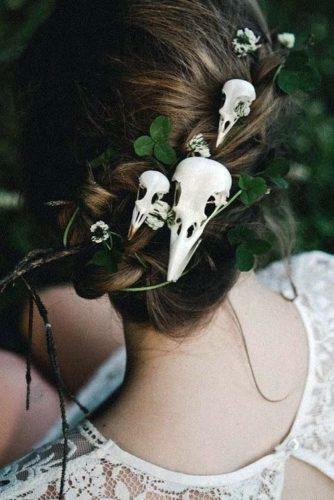 Your Halloween wedding wouldn’t be complete without an outstanding look for the bride. 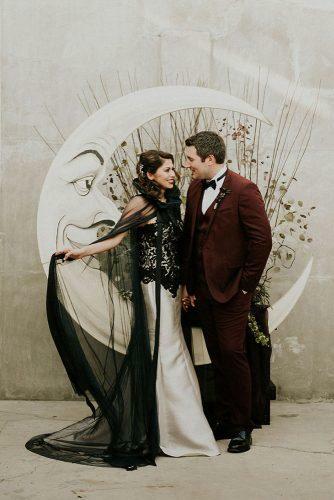 There are so many vintage Halloween wedding ideas that show stunning gowns and makeup looks for Halloween brides. Smokey eyes, blood-red lips and nails, pale faces and creative Halloween hairstyles leave lots of room for creativity. 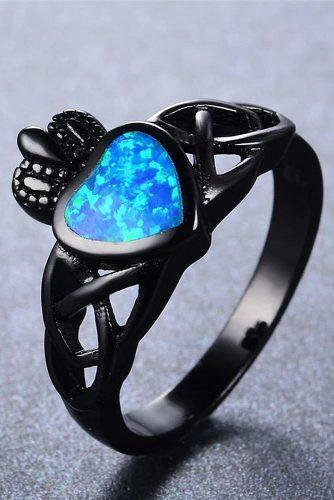 You can go all out and dress like vampires or seek inspiration from your favorite horror flick. 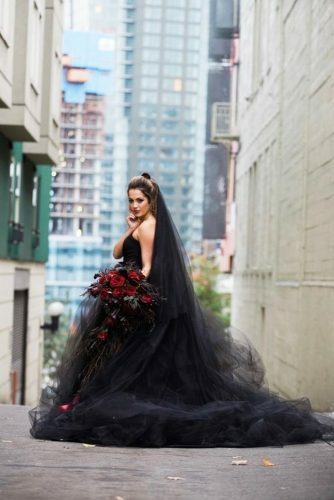 Dye your hair black and paint your lips bright red and wear a long black gown like Elvira, or fashion your dress after the Corpse Bride…the ideas for Halloween bridal looks are endless! 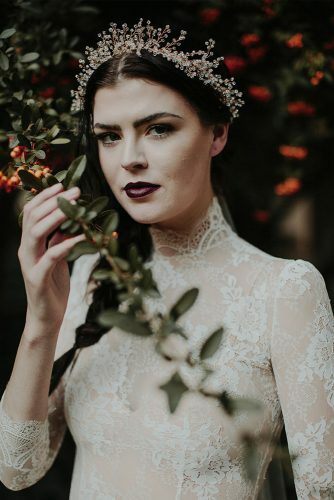 Simply look online for Halloween wedding looks on sites like Pinterest for inspiration From makeup to hair to bridal gown accessories, you’ll be able to put together the perfect look for a Halloween bride! 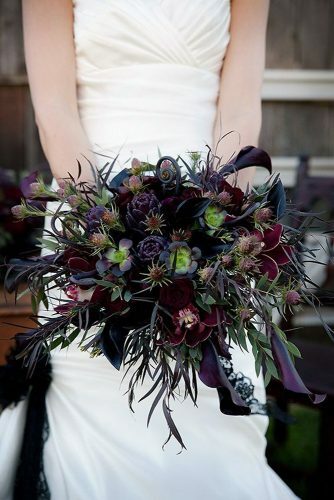 One of the best things about a Halloween wedding is the gorgeous ideas for wedding bouquets. 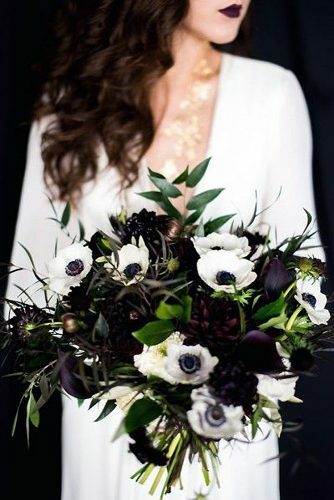 Fall Halloween wedding ideas leave plenty of room for really inspiring bridal bouquets. Halloween wedding bouquets can be themed any way you choose, from a goth to steampunk to vintage chic! 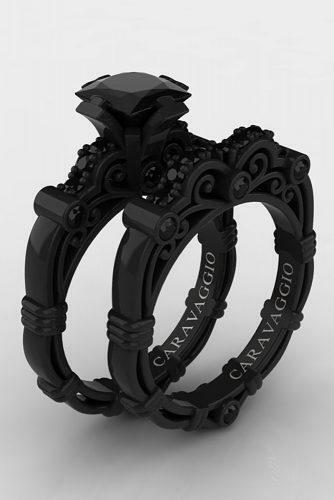 Red and black roses, for instance, give a Gothic and romantic vibe. 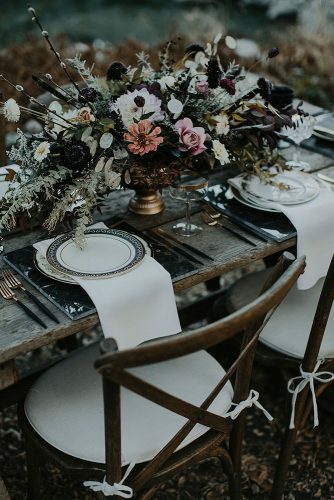 Or if you are going for a vibrant colorful theme, you can choose sunflowers and red roses or flowers in brilliant fall oranges, reds and yellows. 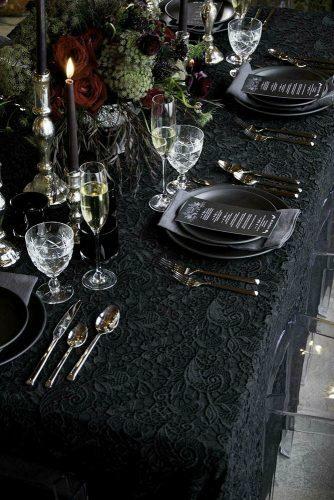 Or chose classic Halloween colors with orange, black and white roses. 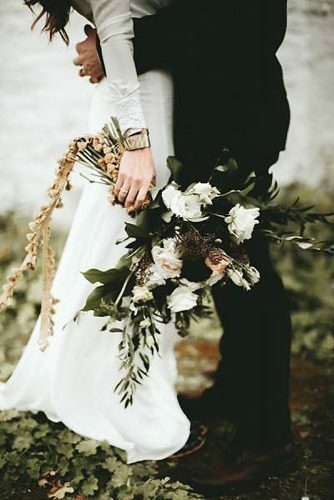 We hope that our Halloween wedding ideas have inspired you to have the Unique And Spooky Halloween Wedding Ideas For Couples Who Love Halloween and fun Halloween wedding ever!